These days there’s a lot of talk about bucket lists. It seems to me that the concept became particularly popular after a movie about a couple of old guys who wanted to do a bunch of things that no one else wanted them to do. They wrote them down, hence the formation of the “list” and checked them off when they were done. More recently, on one of my frequent trips to Costco, I noticed that there are books being written about all of the things we need to do and places we need to visit before we die. I suppose they are relatively harmless, although I do wonder if identifying 10,000 “can’t miss” wonders of this earth might be a little excessive and a somewhat ambitious accomplishment to expect of anyone during one’s relatively short lifetime. Even so, if that’s where it all ended I probably wouldn’t be writing about this today. But as I started to research the “bucket list” concept I was rather shocked to discover that the internet is chock full of instructive sites designed to not only help you build, but also track the completion of your list. As a matter of fact, and this kind of surprised me, there are sites where people share their lists to help others who I guess, can’t come up with stuff to do on their own. Seems to me that piggybacking on someone else’s list is a little suspect but, and I’ve said it before, who am I to judge? To top things off, tonight as I am writing this post, I am keeping one eye on a movie where a lovely, but of course dying woman, is managing to finish off her list in the face of a rather imposing deadline. Given the overwhelming evidence I am convinced that this whole thing has become rather ubiquitous and even so, I can’t seem to recall ever having put together such a list for myself. I do have to admit however, that I was rather intrigued by the scope of “things to do” that my internet friends (I feel as though I can call them that since they are sharing some of their innermost, lifelong desires with me) want to achieve before they die. Certainly travel takes center stage on lots of these lists informed, I am sure, by those “10,000 places” books. Stonehenge, the Eiffel Tower and Niagara Falls are favourite, ultimate destinations for many. There are some rather mundane items, such as “learning to knit “or “eating a Pop Tart” and other more lofty goals like “donating to a women’s shelter” or “helping a homeless person”. Some people want to focus on improving themselves by “becoming more positive”, “running a marathon” or “quitting the insidious tobacco weed”, all commendable and likely realistic goals if you ask me. Unlike the person who wants to “meet a unicorn”, which I believe is much less likely to happen and can only end in disappointment and a sense of failure, leaving me to wonder why anyone would intentionally bring this upon themselves. There are however, items on these bucket lists that I find a little confusing. Like the woman who wants to be “homeless for a week”. Seems to me that you are either homeless or you’re not. And if you’re not, well why would you want to be? My guess is that a real homeless person would never add this to their list. And what about the woman who wants to “jump off a moving train”? It wasn’t at the bottom of her list but I’m thinking that it should be because there’s a pretty good chance that it’s the last thing she is ever going to do. After reading through all of the lists I’m beginning to think that I might be one of a very few who doesn’t have a bucket list, which probably isn’t so surprising since it’s just not the kind of thing that shallow people tend to do. Let’s face it, I have enough trouble writing this blog once a week so I’m certainly not about to commit to a whole whack of other things that I have to do. 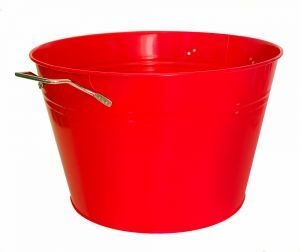 Nonetheless, I’ve thought about it and have come to the conclusion that there is one item I want to put in my bucket. And here it is. I want to win the lottery. This is not some passing fancy, a frivolous , “oh wouldn’t that be nice” wish. No, I really want to win the lottery. I know you think that the ability to accomplish this goal is out of my hands but perhaps no more so than the person who wants to “witness a miracle” which, btw, was also on the list of the dying woman in the movie, making it, in my eyes anyway, a somewhat legitimate bucket list item. Maybe it would help if I just rephrase and say I want to “witness the miracle of winning the lottery”. I figure once that happens it will be a lot easier for me to make the rest of my list. There’s nothing better than a good suggestion and should I ever be moved to make such a list, that is exactly what I will do. Come to think of it, sounds to me like it’s done. Thank-you.